Care Street provides exactly the services you want, for the amount of time you need - not more and not less. We'll tailor a care plan that exactly suits your needs. If you are not sure whether home health care is a good idea for your loved one or if you aren’t sure of their exact needs, we can help you with an honest in-home assessment. 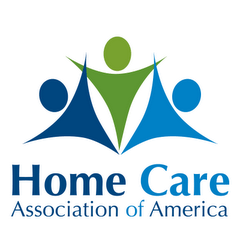 Personal care – Trained and highly qualified CHHA's provide assistance with bathing, personal hygiene, transferring to and from bed, dressing, meal preparation, feeding, bathroom or incontinence help, medication reminders, and light housework. 24 hour care – For individuals requiring a greater level of care, round-the-clock care is provided in shifts, with all shifts maintaining close communication, and overseen by a Care Coordinator. Live-in – Live-in CHHA's are available to join your family and provide consistent care and companionship, for the ultimate in dependable at-home care and peace of mind. Respite care – Ideal when you need a short or long break, whether it’s a night out or an overseas vacation. You'll enjoy a worry-free respite knowing your loved one is in good hands. Alzheimer’s/dementia care – Specially trained caregivers provide sensitive and compassionate care for individuals with cognitive impairment. Companion care – The ideal solution for seniors living alone who need a compatible companion with whom to spend time, go shopping, or other activities.